We will shortly be sending an email to all those who chose to carry over their entry from 2018 to the 2019 event but anyone wishing to check can look for their name on the list below. Many of these include event entry, event Tshirts, vehicle passes and camping tickets so if you are unsure of exactly what you purchased then please log into your Eventbrite panel or use your Eventbrite App to access the event information and see exactly what you have purchased. As accepted via our terms of entry, there is no refund option available for those who chose to carry over their entry as the refund window has now passed. Anyone with carry over entries can still transfer their entry to another rider if for any reason they cannot attend the event. 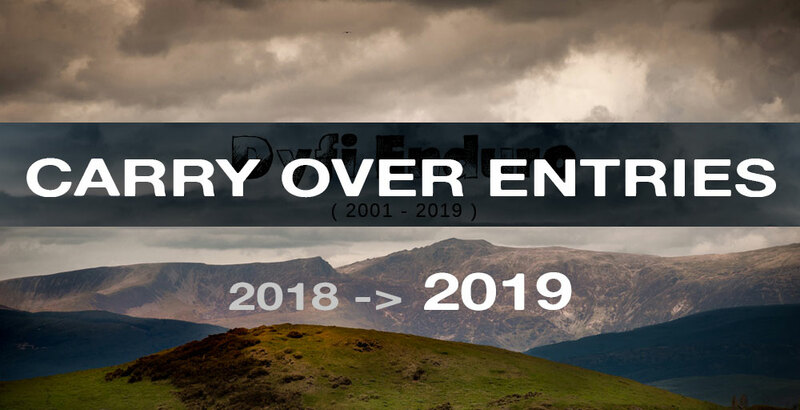 If you don’t have a carry-over entry, tickets for the 2019 event will go on sale on Sunday 3rd February 2019 at 6pm. We have had a lot of interest and with only around 450 tickets available we expect these will sell fast. This is a list of names from our database who are marked as holding carry-over entries that are valid for the 2019 event. PLEASE NOTE: This list is a guide. Please log into your Eventbrite account as confirmation. You should be showing an active entry for the 2019 event. If in doubt, please check your eventbrite communication emails for the status of your order/entry.